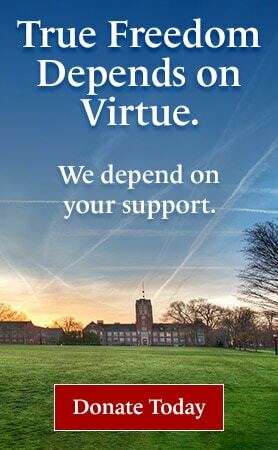 Editor’s Note: The “V&V Q&A” is an e-publication from The Center for Vision & Values at Grove City College. Each issue will present an interview with an intriguing thinker or opinion-maker that we hope will prove illuminating to readers everywhere. 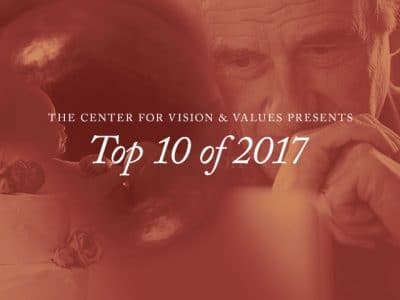 In this latest edition, the executive director of The Center for Vision & Values, Dr. Paul Kengor, interviews Dr. L. John Van Til, long-time Grove City College professor and fellow for law & humanities at the Center for Vision & Values. This is the final installment in a series of special Q&As with participants in the forthcoming April 12-13 conference, “The De-Christianization of Europe: From Nicaea to Nietzsche,” to be held on the campus of Grove City College. V&V: Dr. Van Til, you are well known to the Grove City College community, but those outside of the campus may not be familiar with your long and busy history at the college. How long have you taught at Grove City College and which subjects? After working for J. Howard Pew for four years, and after teaching at the University of Texas for a year, I was brought to Grove City College in 1972 to help begin a renaissance in Christian perspective in the curriculum. We began by creating the “Religion/Philosophy” course in what we then called the Keystone Curriculum. That course was drawn up at my dining room table with the help of W. Andrew Hoffecker and Ross Foster. Though I always taught in the core program, I also taught some 24 courses in history, philosophy, business law, and the social sciences. I also chaired several departments and programs along the way. V&V: Your interests range from theology to terrorism to business and economics and even presidential history. On the latter, you’ve done some fascinating work on President Calvin Coolidge. What is the status of your research on Coolidge? My Calvin Coolidge project is now finished. It consists of a new edition of his three principal volumes of essays and speeches. I have added head notes for each item and then written a 125-page intellectual biography which traces the development of his thought from college through his mature years. A striking feature of his thinking is a distinctively Christian view of the world. I await a publisher at this time. V&V: You are now retired as a full-time professor at Grove City College, but, of course, not retired completely. You continue to write, do research, and teach. Currently, you are the professor for the one-credit course associated with our April conference. How many students are in that course and what is their involvement with the conference? Presently, there are about 135 students enrolled in the course and my task is to guide them through the considerable material presented in papers and lectures. They are to hear lectures, read papers, attend my discussions of the material, and after the conference attend a further discussion of the conference and take a brief test which focuses on their thoughtful written reflections of questions I pose about the topics. V&V: What do you hope students will take away from this April’s conference? I hope students will appreciate the fact that Western Civilization has been distinctively Christian. And then I hope that they see how it has been attacked both inside and out by alien ideas. V&V: Tell us about your paper for the conference, “A Motorcycle Ride Through Church History: A Brief Account of Christianity’s Rise and Decline in Europe.” Assuming that most students know little about the 2,000-year history of Christianity and its many challenges, I attempted to walk them through it—well, take a motorcycle ride through it. I emphasized some of its many ups and downs, stressing more of the “downs” evident in more recent times. I tried to mark the development of Christianity’s history by discussing some of the many major events and people which stand as traditional sign-posts—Constantine, St. Augustine, Aquinas, Luther, the Protestant Reformation of the 16th century, the Enlightenment, and more. Since my own background and interest is in intellectual history and philosophy, I have emphasized ideas behind these events and the mindsets of the key people involved. V&V: In your paper, you connect the late J. Howard Pew—as you call him, “icon of Grove City College,” and a member of the class of 1900—to this story of the rise and decline of Christianity in Western Civilization. Tell us briefly about your own relationship with Mr. Pew and how you place him in the context of this historical event. I providentially became associated with J. Howard when I was 30-years old. How that story unfolded is available in a booklet in the President’s Office here at the College. As noted above, he hired me to help him do research in theology, history, and other subjects he used in his busy speaking schedule. I also reviewed proposals sent to him for funding of books and other projects. In addition, he also assigned me to help with the founding editions of the Presbyterian Layman, a venture he began and funded for years. J. Howard was an active student of Church history, remarkably knowledgeable about the Reformation and the era of the Westminster Assembly. He measured Presbyterian Church development in his own time against these two eras and he found that it had strayed far from initial teachings and doctrines.This state of affairs in his church bothered him at a very deep level. V&V: Would J. Howard Pew be surprised by the decline of the faith in Europe? Would Mr. Pew be optimistic or pessimistic about the future of Europe? Comment on these questions would be difficult because the drift of the Christian churches in Europe was not so dramatic and obvious as it was a decade or so after he died. He was, however, suspicious of the World Council of Churches and saw its leaders as under the sway of modern theology and socialist economic views. 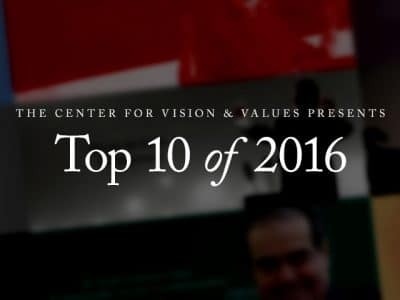 V&V: Would Mr. Pew be fearful that America is heading in the same direction? If he walked into your classroom, what would be his advice to today’s Grove City College students? On the one hand, Pew was already deeply concerned about America’s direction in the 1930s, giving speeches and Congressional testimony about it at that time. He saw socialism as a threat to basic American values, a point also evident in his many speeches. Later, as the founding of the Layman indicates, he was deeply concerned about the drift of his beloved Presbyterian Church away from Biblical authority. On the other hand, he believed deeply in God’s ruling Providence and that in the end God would preserve His Kingdom in America. This view was very similar to that of Calvin Coolidge, but that is not surprising to me since they graduated from similar colleges five years apart. As to the second question, the first words out of J. Howard Pew’s mouth in my interview with him before I was hired is instructive. He asked, “Are you an orthodox Christian?” He meant by this to inquire whether the Bible was authoritative in my thought and life—which, of course, it was. Academic credentials were assumed to be present, too. Hence, I think he would want students to know and believe the Gospel of Jesus Christ, or have it presented to them while on campus. Further, he was a deeply moral man and would, I think, insist that students be committed to high moral standards: if there be any question, “high moral standards” meant Christian standards. He would also obviously say that in life there is no substitute for hard work. I punctuate that point by noting that he was born into a wealthy family, but worked hard all of his adult years—all 89 years and 10 months of his life. He would also say to students that there is no substitute for education to making your way in life. It was for that reason that he and his family supported the founding of Grove City College. V&V: Dr. Van Til, thanks for talking to us. We look forward to seeing you—and all those students—at the conference.Thank you. This entry was posted in Faith & Society, Vision & Values Concise E-publications by L. John Van Til. Bookmark the permalink.